Our Surf Camp, Surf House and Surf School are based in Baleal, a picturesque village located on a small island at the north end of Peniche. Baleal island with it’s eclectic mix of traditional houses retains it’s original Portuguese charm/character which is why it’s popular with both locals and tourists. On each side of the island you will find pristine white sandy beaches which are ideal for surfing and sunbathing. The island has a handful of cafes/bars and a local shop however you’re only a short walk away from the mainland which offers a wider range of amenities. The popular coastal town of Peniche with it’s working fishing harbour and cosmopolitan atomosphere is only a short drive away. The Peniche coastline is a wave magnet with several surfable coastlines to explore and as it’s a peninsular you are almost guaranteed to find an offshore wave in this area. This coastline offers a variety of beach breaks that will suit beginners/intermediates and world class waves such as Supertubos and Molho Leste that will suit experienced surfers. Spring, Summer and Autumn are ideal times to visit for the warmer climate and consistent surf. Winter is a good time to visit for bigger uncrowded waves. Apres surf you can chill out in the surf house or head down to one of the many local surf & beach bars and watch the sunset over the ocean. In addition to the Surfing Holiday described above we also have the flexibility in this location to tailor a package to suit your individual needs combining private accommodation with surf lessons or surf guide. Please contact the ZOCO Team for a personalised quote. • Airport Transfers: Yes, see prices below. Please note: all prices are per person and places are subject to availability at time of booking. We accept payment in Euros (€ EUR). Flights are not included in price, check out our Getting There guide for low cost flights to Faro International Airport. *** Please note that Surfboard, Wetsuit and Insurance is not included in the guided surfari package. Surfboards and wetsuits can be rented and paid for locally. Please ask Zoco team for details. 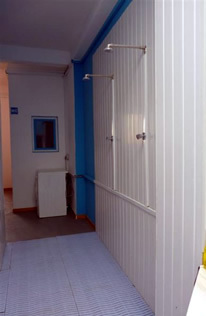 The Surf House is a small traditional Portuguese house located in the heart of the village on Baleal island witin easy walking distance to local amenities, the main beaches and nightlife. 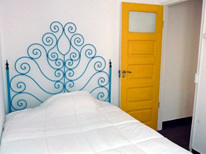 The house has a great vibe and atmosphere and the local team will help make your stay as comfortable and enjoyable as possible. OVERVIEW: The house comprises of a fully equipped kitchen/dining area, communal living area, variety of shared bedrooms and a good distribution of bathrooms/WC. KITCHEN: The communal kitchen provides basic cooking facilities including: two ring gas hob, microwave, fridge, toaster plus all the kitchen corckery and utensils. 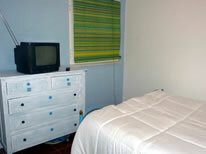 FACILITIES: Satellite TV, DVD player, Free WIFI. SERVICES: Bedrooms are typically cleaned twice a week. Bed linen is provided and usually changed once a week. Bath and hand towels are provided and changed mid week. A washing machine/laudry service is also available to guests. There’s also a local English speaking manager. 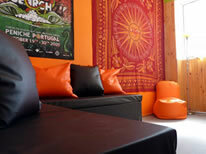 The Lagido Surf School & Surf Camp was setup in February 2010 by local surfer and all round waterman “Guilhas”. All of his family are from the Baleal area, he has surfed since the age of 10 and has a genuine passion for the area, it’s people, the culture, the ocean and free diving. The Surf School is registered/affiliated via the Portuguese Surfing Federation, the Portuguese Tourist Board and the local Peniche Surf School Association. The Surf Instructors are all qualified via the Potuguese Surfing Federation (FPS) and they all have the necessary skills and patience to help you progress in a safe but fun enviroment at your own pace. The coaching is specifically aimed at those who have never surfed before or those who have already taken some some lessons but feel they need to improve further. Surfing is progressive and there is always something new to be experienced and learnt! For safety reasons and to ensure you get the attention you need on dry land and in the water, the Surf Lessons have a low student to instructor ratio. All students are placed with an instructor who specialize in teaching at a particular level. All the equipment used by the Surf School is specifically designed for beginners and intermediates with safety being the key factor. Beginners will use softdeck boards specifically designed for both stability and safety. Intermediates will use Epoxy boards which provide a good blend of stability, manouverability and performance. The instructors will select a board suitable for your size, weight and ability.